Local koi pond and water garden clubs are the first ripple in getting to know your pond keeping community. Koi pond and water garden clubs are an invaluable resource for information on fish, plants, and how to manage your pond. Pond clubs are also a very fun outlet into the lifestyle of pond keeping. I recently had the opportunity and pleasure to speak with a couple of koi pond water garden clubs. In late Winter 2016 I made a trek up to Rochester, NY to speak with 2 of the areas koi pond and water garden clubs. This beautiful area of Upstate New York is dotted with lakes, wineries, great people, and amazing scenery. It also typically holds onto the cold winter months a little longer than other areas, sometimes making pond keepers wait just a bit longer to start their season. I was invited to speak with 2 clubs by the President of the Genesee Valley Pond and Koi club, Lee Frisbee. The Niagara Frontier Koi and Pond Club joined in for the meeting as well. It was a very impressive group that assembled. Not only was the talk I was giving in late winter when you’d think not many people have ponds on their mind, but it was also a Friday night, and many club members had to drive quite a distance to be part of the club meeting. Clearly these club members are really committed to learning and sharing experiences and information on becoming better pond keepers while helping others along the way. Equally as impressive was the mix of approaches being taken to pond keeping. The various club members represented a mix of large ponds and small ponds. Rock and gravel ponds, concrete ponds, preform ponds, koi ponds, goldfish ponds, mixed fish ponds, and water garden ponds. It was a broad spectrum of pond keeping and it was great to see! Koi pond and water garden clubs offer numerous benefits to those who are #livingthepondlife, #livingthekoilife, or otherwise #aquaticallyobsessed. The meetings can be lots of fun and will always have a topic of interest to pond keepers, as well as some beverages and goodies to snack on. Most clubs offer regularly scheduled meetings and get togethers that allow for an open exchange of information with other club members in a face to face format instead of from behind keyboards. Face to face offers a deeper exchange and understanding of the information being shared. 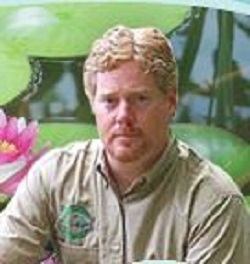 Guest speakers are usually experts from the pond and water garden industry, speaking on numerous topics. Clubs also offer pond tours, some clubs host koi shows or organize trips to koi and goldfish shows, some clubs organize trips visit garden centers and public gardens. Pond tours are great fun and allow for up close interactions with other pond keepers and personal exposure to methods and approaches to pond keeping that successful pond keepers use. Pond tours can be self guided or even done from a party bus! Koi and goldfish shows can be a 1 day to multi-day event that are hosted by some of the larger clubs, but can easily be organized within a smaller club as well. Club trips can be organized as well. Maybe not a trip to see the worlds second largest ball of twine, save that trip for the fam! However, trips like waterfall hikes, koi farm tours, or a public garden tour are of great interest to most pond keepers; and a great way to spend a day. Some clubs can all get together to help another club member build a pond or make a pond bigger. Most clubs offer websites or active Facebook pages so members can keep plugged into the clubs activities. Many koi pond and water garden clubs these days are struggling to “maintain water level”. Memberships have dropped off, meetings aren’t happening, shows are less frequent. I want to encourage pond keepers to join and become active in their local pond and water garden clubs. The benefits are tremendous, the people are great, and the hobby and lifestyle need the grassroots strength of the clubs. Chances are there is a club near you just waiting for you to join. At the meeting for the Genesee Valley Pond and Koi Club and the Niagara Frontier Koi and Pond Club every member of both clubs had successes to share as well as their struggles, and every member of both clubs left that night with a better understanding of their passion for koi ponds and water gardens. As a presenter I left with a greater appreciation for the importance of koi pond and water garden clubs and the benefits they offer. Let’s keep our lifestyle strong and the hobby alive through our clubs. Join your local koi pond and water garden club today! A very special thank you to Lee and Lynn Frisbee for not just invited me to speak but being gracious hosts as well as working hard to keep their local koi pond and water garden clubs strong. Checking to see email response. It was an absolute pleasure to have you with us in Rochester! 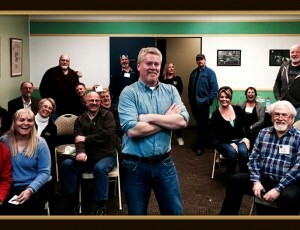 Thank you so much for the time and invaluable information that you’ve so generously shared with the Rochester Koi Club. We are grateful for the knowledge you hold! Cheers!